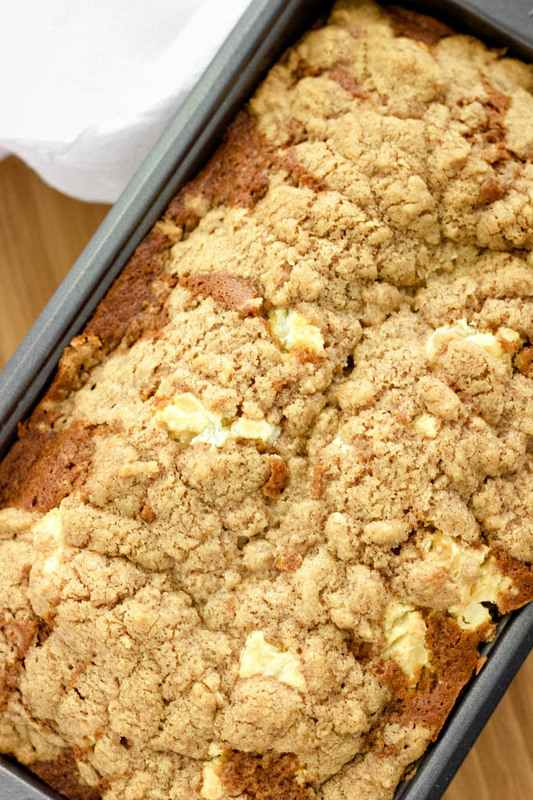 A delicious and flavorful Pumpkin Bread that’s topped off with a cream cheese streusel for the ultimate fall treat. This recipe is a must try! Once September arrives, I go into fall mode. I love everything about fall! The colors, football games, tall boots, sweater weather, and all things pumpkin. As much as I’m anxious to move to a warmer state, I know that experiencing the fall season here in the northeast will be one of the things I’ll miss the most. To kick off this upcoming fall season I wanted to share a delicious pumpkin bread recipe that will be my go-to this fall. 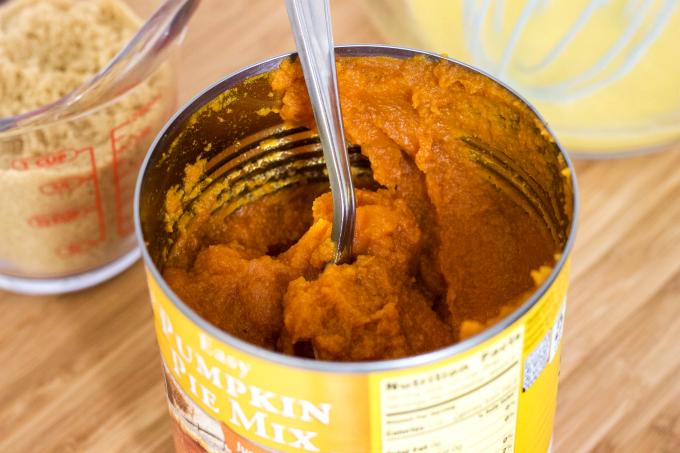 It’s full of delicious flavors and will fill your home with the scents of fall goodness. I love having a slice with my morning coffee or during the evening for dessert. 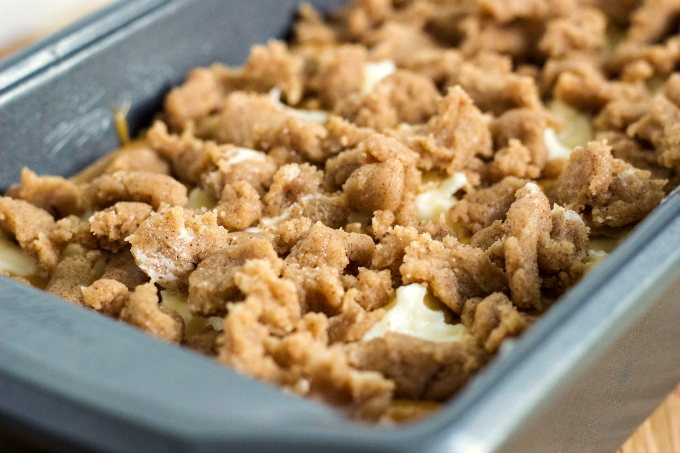 You can add walnuts in the pumpkin bread or omit the cream cheese topping. The beauty of baking is that you can always tweak the ingredients to make it your own. Enjoy! Preheat oven to 325 degrees. Whisk eggs, buttermilk, and applesauce together. Mix well and set aside. Add flour, salt and baking soda, cinnamon, and nutmeg to a separate bowl. Stir to mix the ingredients well and set aside. Add white sugar, brown sugar, pumpkin pie mix and vanilla to the egg mix. Stir until it’s mixed well. Add flour mixture and stir until smooth. Doesn’t it smell AMAZING??! Pour pumpkin bread mixture into a greased 9×5 pan. Mix cream cheese, sugar and vanilla until smooth. Drop 1/2 teaspoonfuls of cream cheese mixture all over the top of the pumpkin bread mixture. 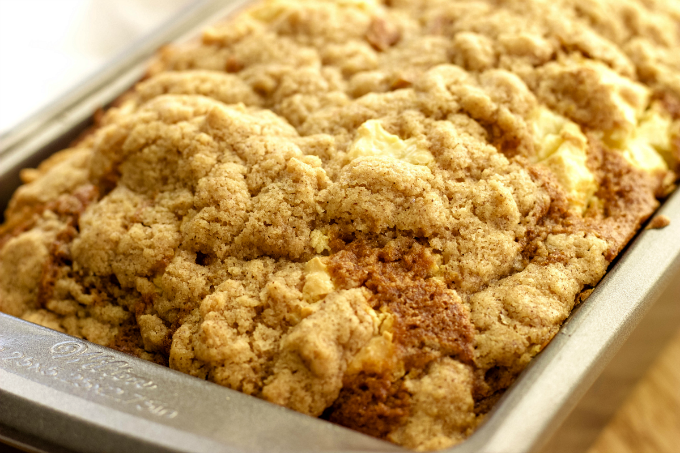 For the streusel, cut butter into chunks (make sure it’s cold!). Add brown sugar, flour, and cinnamon to the butter. Mix with hands until the mixture begins to look lumpy. Break up larger pieces if needed. Don’t work it too much or the butter will soften and get mushy. Sprinkle the evenly all over the pumpkin bread. Cut and enjoy a slice of pumpkin goodness with your favorite hot drink. I also enjoyed eating the pumpkin bread cold because the flavors were more prominent. Do you enjoy pumpkin bread? I absolutely love it and I don’t need it to be fall to enjoy it. 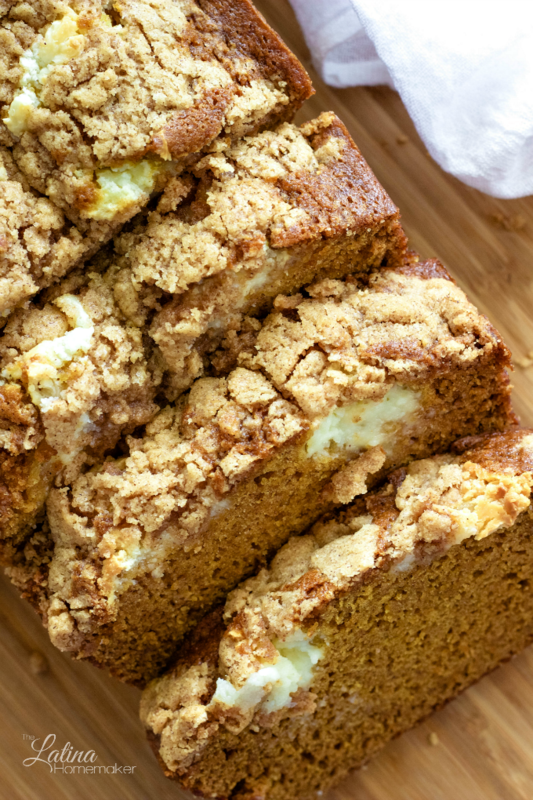 A delicious and flavorful Pumpkin Bread that's topped off with a cream cheese streusel for the ultimate fall treat. This recipe is a must try! Whisk eggs, buttermilk, and applesauce together. Mix well and set aside. Add white sugar, brown sugar, pumpkin pie mix and vanilla to the egg mix. Stir until it's mixed well. Add flour mixture and stir until smooth. Pour pumpkin bread mixture into a greased 9x5 pan. For the streusel, cut cold butter into chunks. Add brown sugar, flour, and cinnamon to the butter.